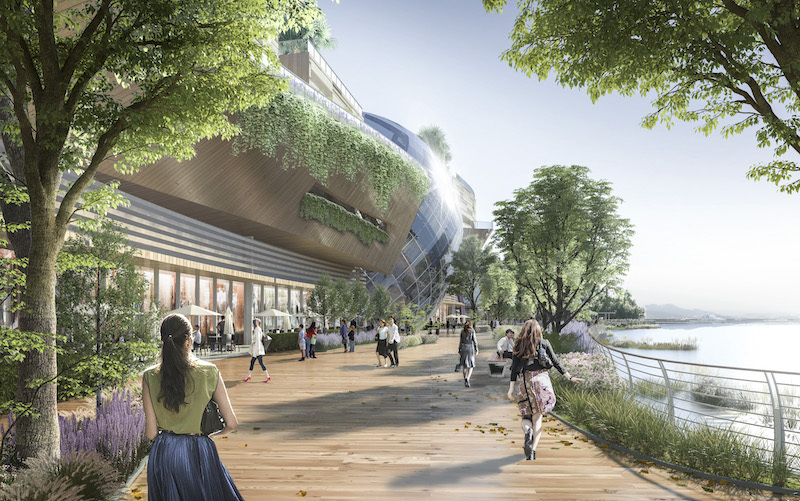 Singapore’s two integrated resorts, Marina Bay Sands and Resorts World Sentosa, are embarking on major expansion plans with a history-making investment of S$9 billion. 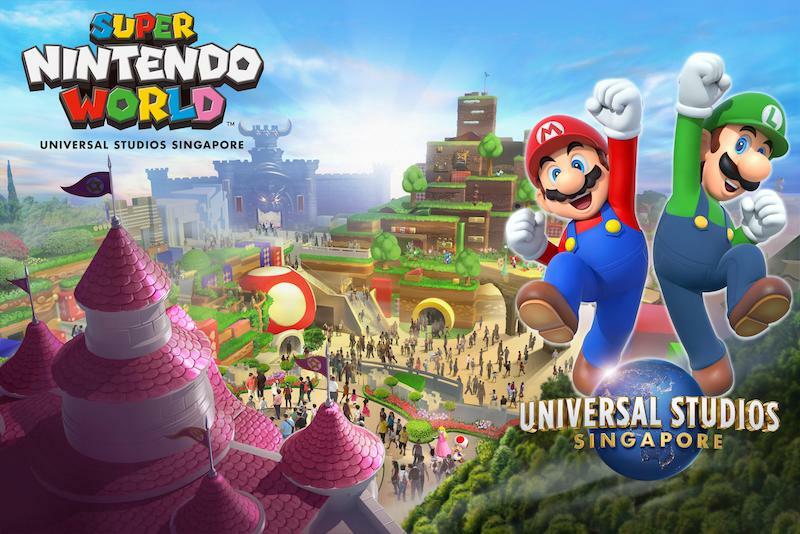 Marina Bay Sands will add a new entertainment arena and hotel tower, while Resorts World Sentosa (RWS 2.0) will extend Universal Studios Singapore with two new attractions – Minion Park and Super Nintendo World. “Since the expiry of the exclusivity period for the two casino licences in 2017, we have been in intense negotiations with the two IRs to keep their non-gaming offerings fresh while limiting the potential downsides of the gaming components,” said Singapore’s Trade and Industry Minister, Chan Chun Sing. The expansions will create up to 5,000 jobs, said the Ministry of Trade and Industry in a joint press release with the Ministry of Finance, Ministry of Home Affairs and Ministry of Social and Family Development. 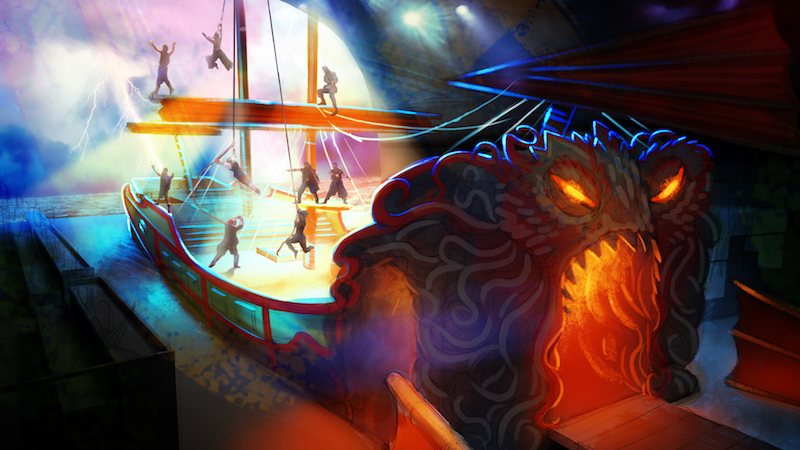 RWS 2.0 will see an expansion of about 50% new Gross Floor Area (GFA), adding over 164,000 square metres of new and exciting attractions, entertainment and lifestyle offerings. The expansion will be delivered in phases with new experiences opening every year from 2020. Completion is currently scheduled for 2025. Universal Studios Singapore and S.E.A. 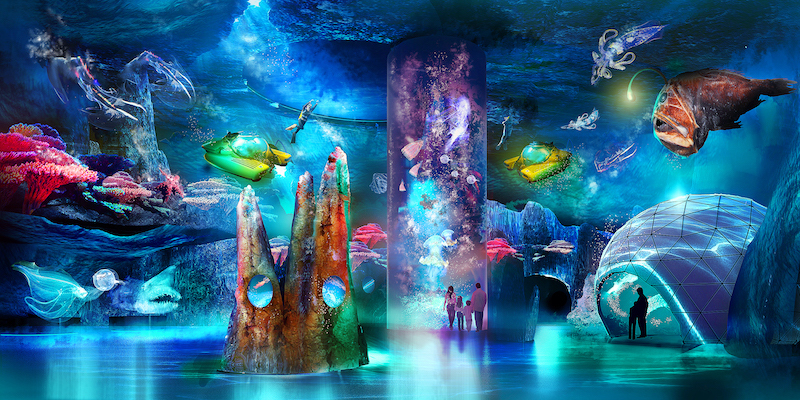 Aquarium are both set to increase in size, with Universal Studios Singapore unveiling two new, highly-themed and immersive environments based on Minion Park and Super Nintendo World. 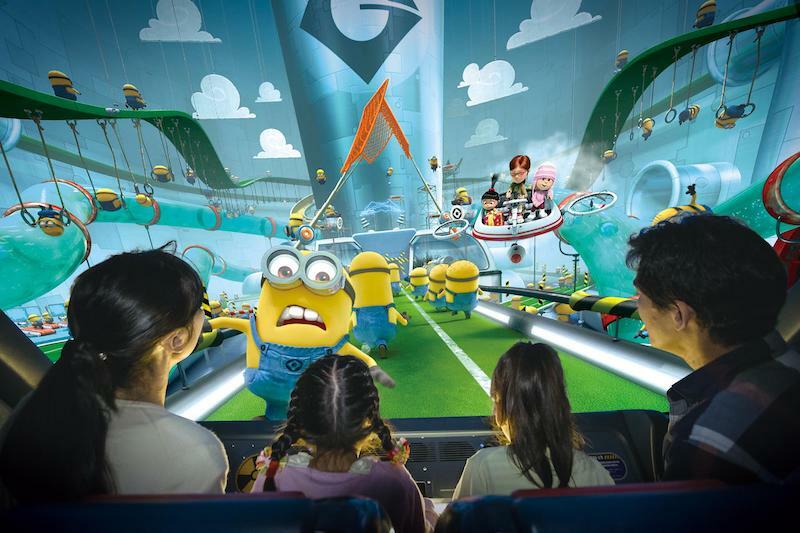 Minion Park will include the Despicable Me Minion Mayhem will be 3D motion-simulator thrill ride. Guests to Super Nintendo World will “feel as if they have stepped into a larger-than-life Nintendo adventure”. 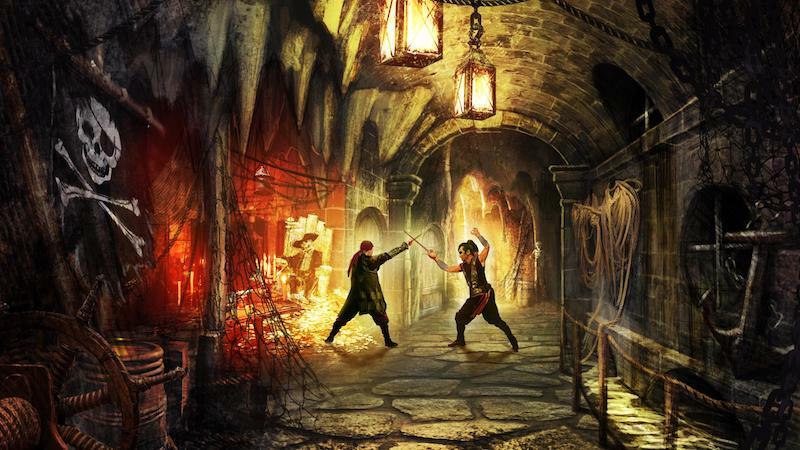 The new areas will feature new family-friendly attractions, as well as themed shops and restaurants. S.E.A. Aquarium, which will grow to three times its current size, will be rebranded as Singapore Oceanarium. 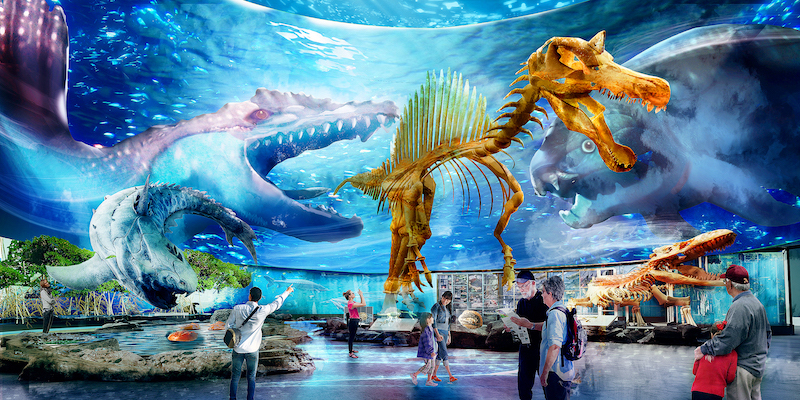 It’ll blend specially curated marine life and exhibits on prehistoric marine life and deep sea creatures, with a focus on the history of evolution, exploration and conservation. The latest digital innovation and interactive technology will be employed to engage visitors. A new waterfront lifestyle complex with two new destination hotels will add up to 1,100 more rooms, encouraging visitors to stay longer and enjoy evening activities. The entire waterfront promenade will be completely renewed, with eclectic dining and lifestyle activities, while the Resorts World Theatre will be replaced with a new Adventure Dining Playhouse. To better connect the mainland and Sentosa, a new driverless transport system will be built in the expansion. As part of the expansion, MBS will build a 15,000-seat indoor entertainment arena. “With leading design and cutting edge technology, the venue will attract top entertainers from Asia and around the world,” said MBS owner, Las Vegas Sands, in a press release. MBS will also build a fourth tower with approximately 1,000 all-suite hotel rooms, a sky roof with a swimming pool, and a “signature restaurant”. 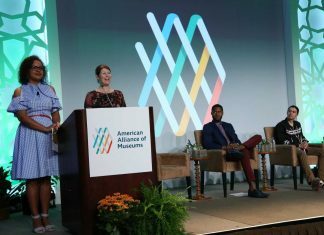 There will also be new ballrooms, exhibition halls and food and beverage offerings. “Marina Bay Sands is an iconic tourism destination that has exceeded all of our hopes in growing leisure and business tourism in Singapore and it is a privilege to receive the Singapore government’s continued support of its development,” said Las Vegas Sands chairman and CEO Sheldon Adelson. RWS is one of Singapore’s largest private sector employers and home to over 13,000 employees. The expanded RWS will result in approximately 2,800 new opportunities. “RWS has been a major game-changer and growth engine in the last ten years in transforming Singapore’s tourism landscape,” said RWS CEO, Mr Tan Hee Teck. “This major reinvestment and expansion here in Singapore underlines our belief in the business model and the future opportunities that lie ahead when we complete the development. He continued: “In the year of Singapore’s Bicentennial celebrations, RWS is excited to be embarking on this makeover to ensure that we continue to be the top integrated resort in this region. “Our achievements are the fruits of the dedication and passion of all our talented team members, happy customers and all stakeholders from both the private and public sectors who have contributed their resources to make RWS a success,” he added.